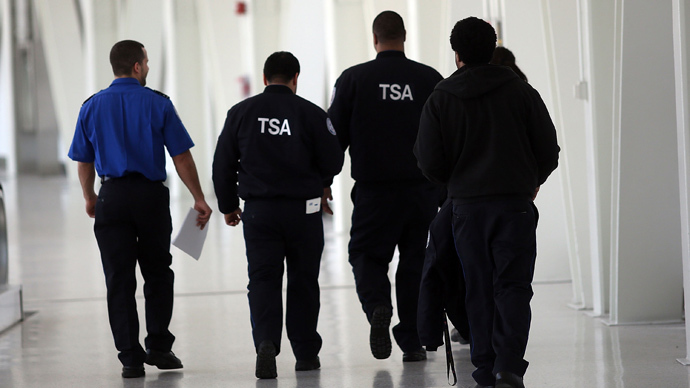 Texas lawmakers have proposed a bill that bans TSA officers from intentionally touching travelers’ genital regions. A similar bill previously failed to pass after feds threatened to shut down the state’s airports if TSA would face such restrictions. Rep. David Simpson of Longview, Tx., introduced the measure to the House State Affairs Committee while testifying about a problem that air passengers have long complained about: invasive pat-downs by Transportation Security Administration officers. 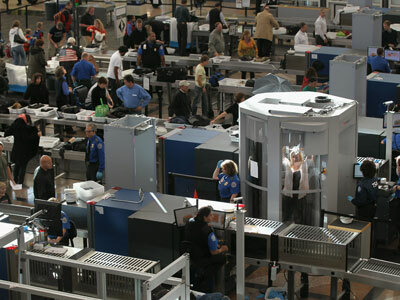 “The problem is this effort at security is really treating travelers, innocent people, as criminal suspects and making them submit to unreasonable, very intrusive searches,” he told AP, adding that security agents are commonly “violating peoples’ most sacred areas of their bodies”. 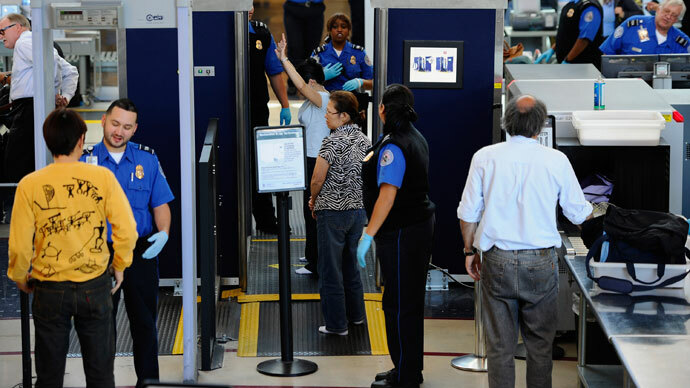 As full-body scanners continue to replace traditional metal detectors, many passengers choose to undergo a pat-down rather than let the millimeter wave scanners undress them with electromagnetic radiation. 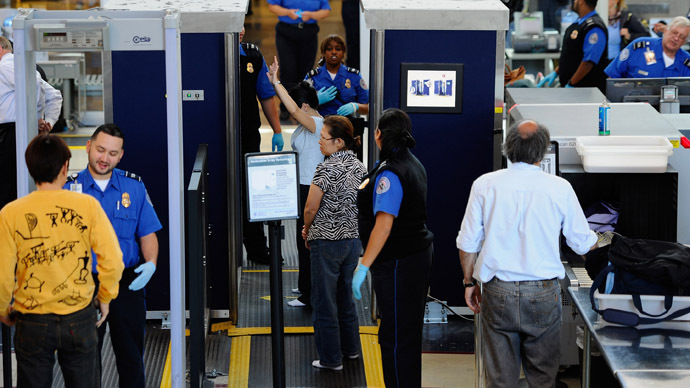 Simpson said that travelers often feel uncomfortable with the full-body scanners that “basically allow people to be viewed naked,” and have no other choice than to succumb to a body pat-down. “Citizens are being humiliated, and the most private areas of their bodies are being touched,” the Republican lawmakers told the committee on Wednesday. To combat the nature of the invasive pat-downs, Simpson has introduced House Bill 80, which prohibits law enforcement or government agents from searching a traveler’s genital regions without probable cause – or else face a misdemeanor charge. “If it’s not a probable cause, they go to jail,” he told the House State Affairs Committee. After Simpson’s 45-minute testimony, the bill remained pending, indicating that the committee may want further evidence or witness testimonies before moving the bill along to the House. The lawmaker had previously introduced a similar bill in the Texas legislature, only to have it die out shortly thereafter. 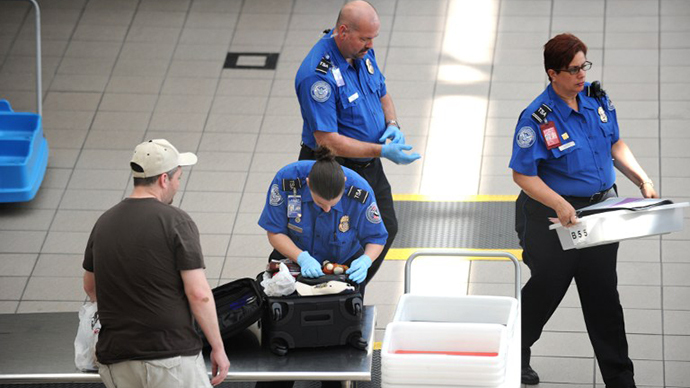 The 2011 version of the bill banned TSA officers from touching travelers’ genital regions, while the 2013 version bans them from “intentionally” doing so. The 2011 anti-groping bill passed the House, but federal officials then began to threaten the legislature, claiming they would shut down all Texas airports if TSA officers could so easily face criminal charges and jail time. Although the new bill is softer and could allow officers to argue that an intentional violation was ‘incidental’, Simpson said it is still necessary. 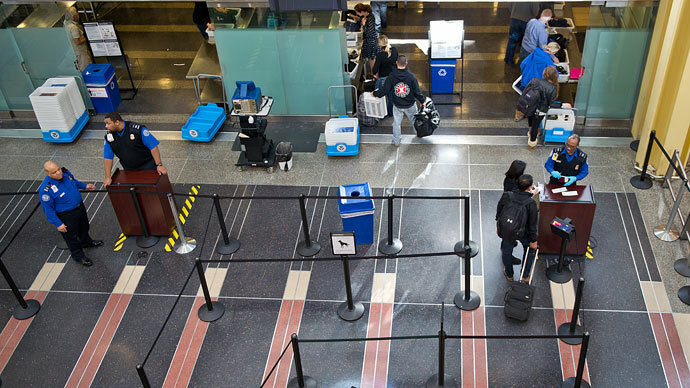 Texas official repression laws already prohibit groping by airport screeners, but this bill would further lay out the restrictions to officers of an agency that routinely violates travelers. “It’s not only offensive, it’s insane,” Simpson told the committee, while telling the story of a wounded Texas military veteran who was forced to remove his prosthetic legs while undergoing TSA’s security screening. The double-amputee described his experience as “humiliating” and painful, especially when a TSA officer asked the Marine to stand up and walk around – despite the fact that he had no legs. Simpson also provided members of the committee with several photographs of invasive pat-downs conducted by the TSA. “Some of [the officers] seem to be enjoying the groping,” Rep. Harvey Hilderbran (R-Kerrville) said while looking at the images. Last time he introduced the measure, Simpson even included photographs of TSA officers groping young children and searching the diapers of babies. Some members of the committee believe the current version has a much greater chance of passing in the legislature than the previous bill, but that if the federal government threatens to shut down state airports, it probably won’t stand a chance. If airports are shut down, “you destroy the Texas economy, you destroy our business growth. We would be paralyzed,” Rep. Rene Olivera (D-Brownsville) said during the testimony. While both Democratic and Republican Texas lawmakers admitted the logic of banning invasive pat-downs, the bill’s fate also largely depends on the federal government’s reaction to its re-introduction.